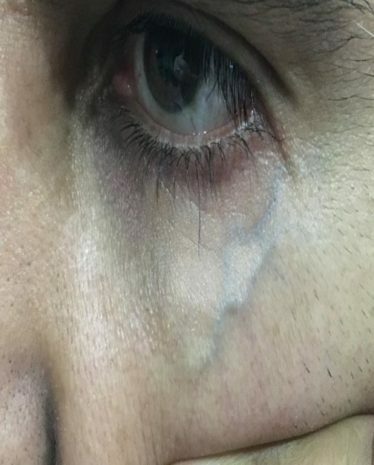 Some patients have prominent or bulging veins immediately below the eye that are unsightly and may contribute to a facial appearance of fatigue or swelling. Occasionally these veins may cause discomfort. Unlike spider veins that occur in the top layer of the skin, these veins are in the fat layer just below the skin. They are abnormally large for this area of the face and cause bulging of the overlying skin. 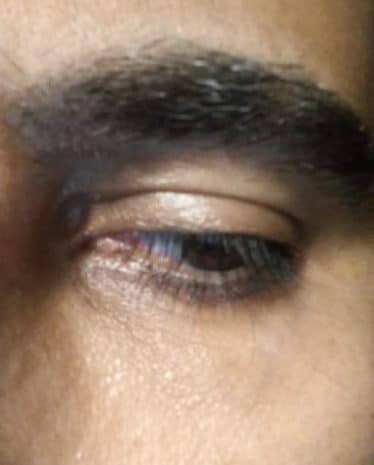 Other veins beneath or around the eyes are smaller and may not bulge, but may still be visible and unattractive causing discoloration of the skin. Laser vein treatment is an easy, fast, and effective method that discolouration improves the appearance of superficial veins of the face. Besides the application of lasers in helping with fine superficial veins, lasers may also be used for improving the appearance of dilated and prominent blue vessels (namely, reticular veins) in sensitive areas such as the under eye area. When applied to the face, some patients describe their new rejuvenated and youthful look as amazing. Note: if you are a suitable candidate for this treatment, Dr Sagoo is one of only 2 doctors in the UK with vast experience of treating blue under eye veins. The treatment typically takes 15-30 minutes. A cooling ice pack is all that is necessary during the procedure. We are the only clinic outside of London to perform this treatment, and also more cost competitive.